The Schola Gregoriana Malverniensis currently sings Mass in the Extraordinary ("Tridentine") Form of the Roman Rite at 3:00 p.m. at St Wulstan's Catholic Church, Wells Road, Little Malvern WR14 4JL on the second and fourth Sundays of each month. Where possible it also hopes to sing on major feasts or solemnities occuring on Sundays. Rehearsals are held in Croft Bank, Mathon, Malvern WR14 4DX on Wednesday evenings (7:30–9:00 p.m.) throughout the year and at 2:00 p.m. before Mass on Singing Sundays. New pieces are initially broken down into their separate voice parts and played through in rehearsal so that an ability to sight read music is far from essential. Wherever possible, links to recordings (YouTube or mp3 or MIDI files) are provided on this website so that members can practise more easily at home by listening to or singing along with those recordings. A predecessor Schola was formed at St Joseph's, Malvern on the Solemnity of Christ the King, AD 2004 as Choir@9 to provide traditional music for the 9:00 am Mass on Sundays and on other occasions throughout the liturgical year. Originally singing only on one Sunday per month, the Schola progressively expanded its repertoire until typically singing twice each month and was renamed Schola Sancti Ioseph to celebrate ten years of singing at St Joseph's. 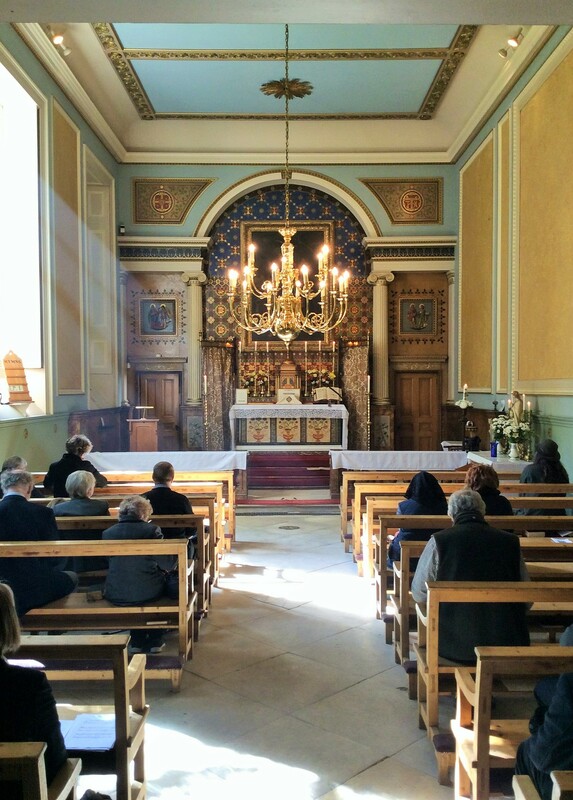 From September AD 2015, following the termination of the 09:00 a.m. Sunday Mass at St Joseph's, the Schola Sancti Ioseph closed down and the present schola, Schola Gregoriana Malverniensis, was formed and was subsequently invited to sing Mass in the Extraordinary Form at Spetchley Park once a month, which it did from November 2016 until the chapel closed on November 2017. The Schola's motto - "Benedicam Dominum in omni tempore" - is the opening line of a Short Responsory ("May I bless the Lord at all times") and the corresponding opening bar of the Gregorian chant melody of the Short Responsory is incorporated in our logo. 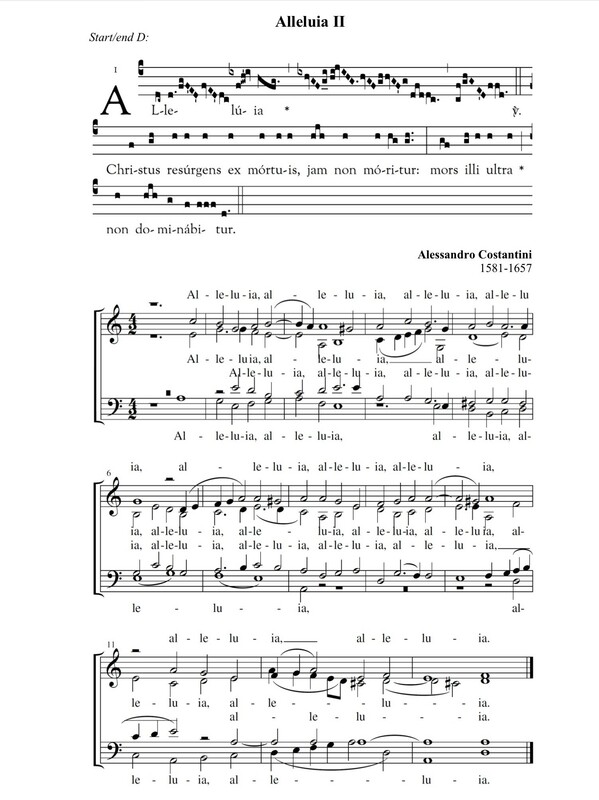 The Schola also sings a range of three- and four-part polyphonic mass settings, Mass propers, and motets from the 16th century to the 21st century. The singing of the Schola may be complemented by short organ voluntaries before and after Mass, except of course during those Sundays of Advent and in Lent when it is not appropriate.